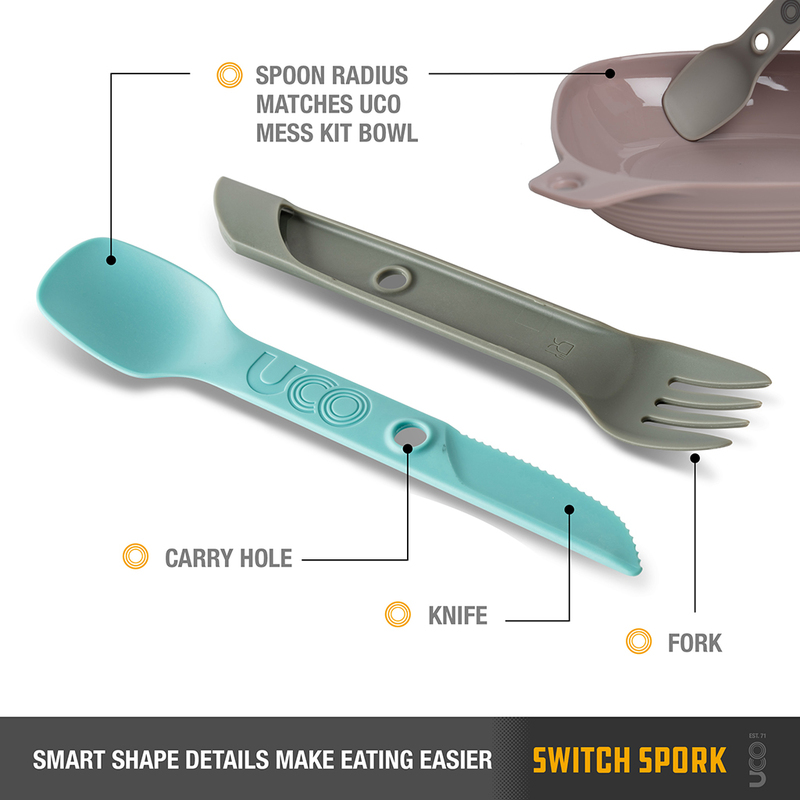 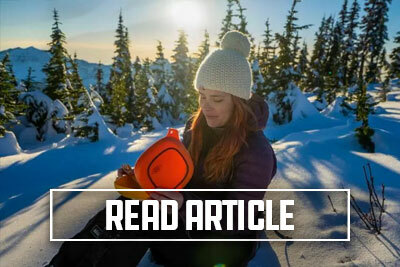 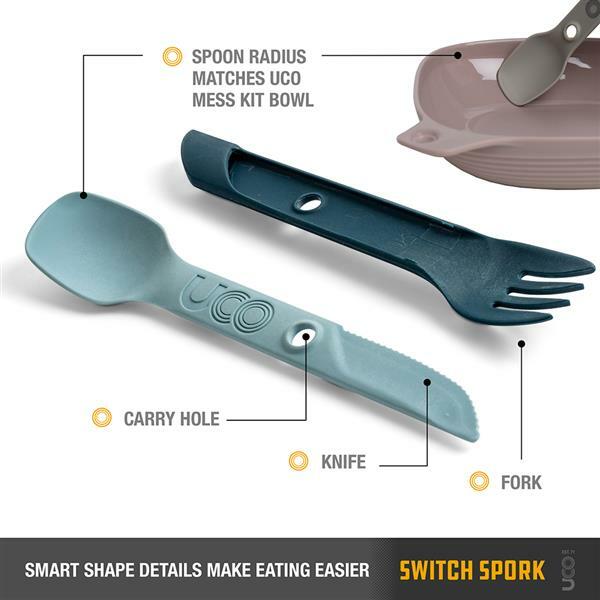 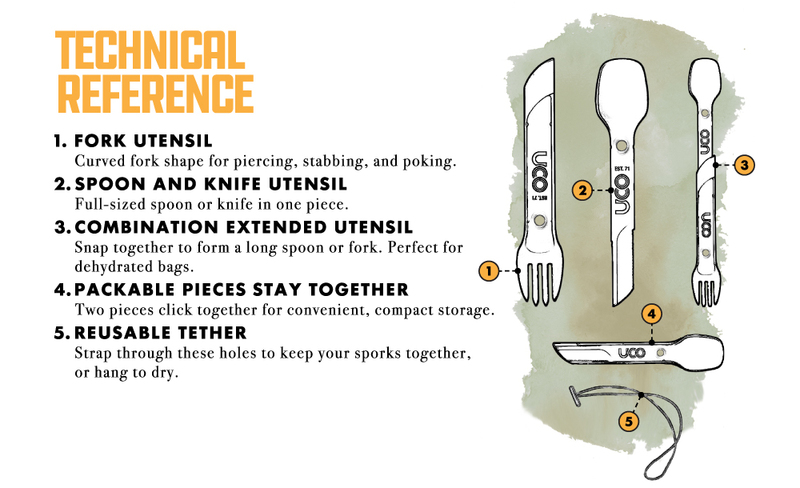 The ultimate in shape shifting, The Switch Spork stores compact but transforms into a dedicated spoon, fork and knife, or telescopes together to form an extra-long utensil ideal for deep walled containers. 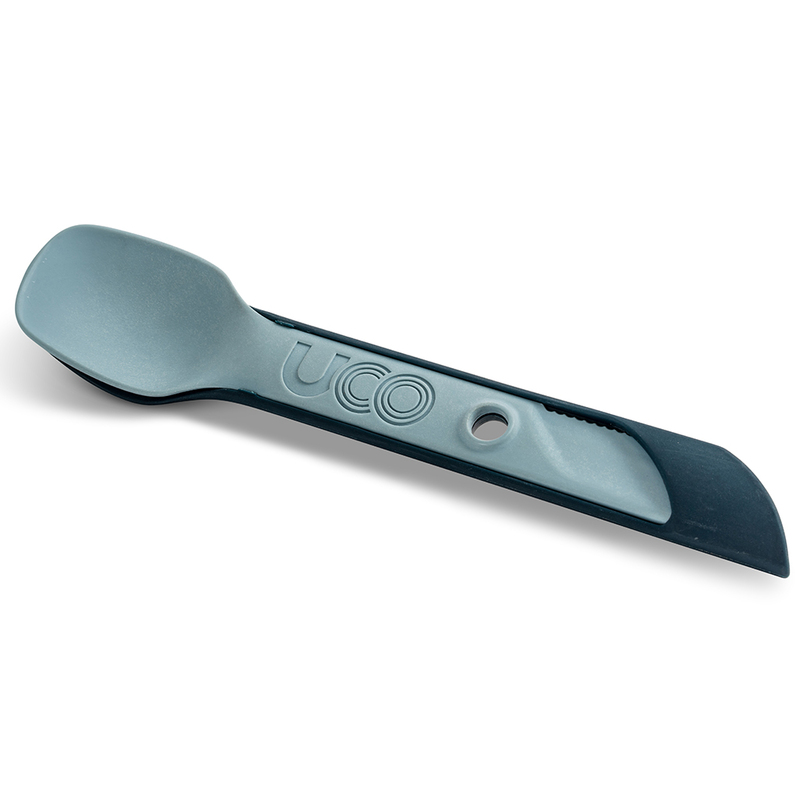 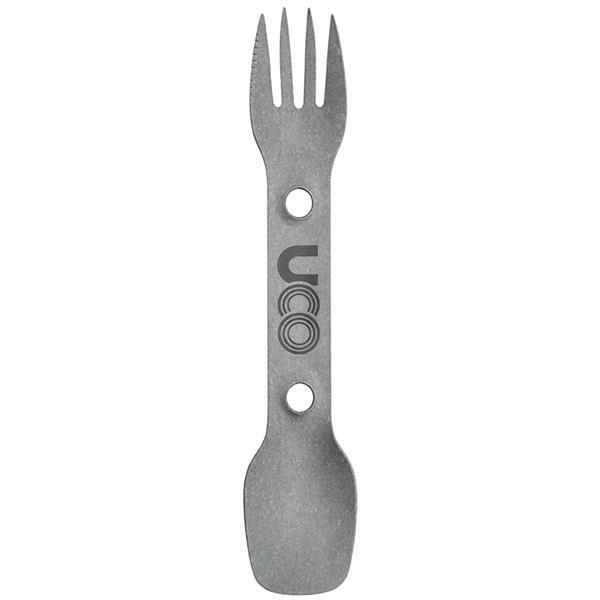 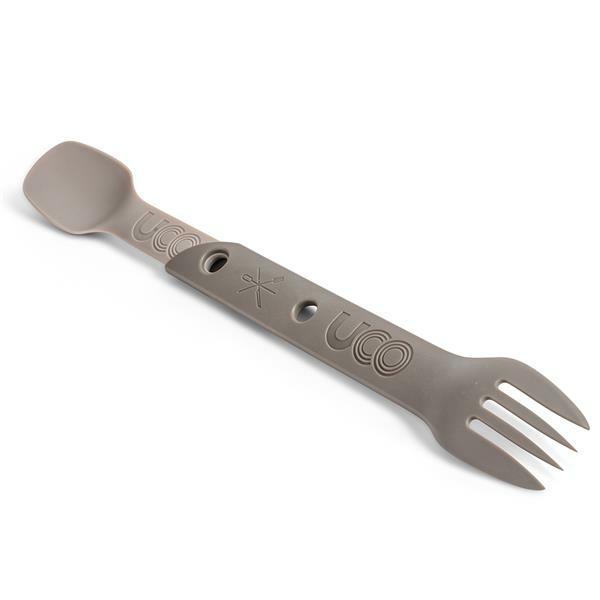 Whether hiking in the Cascades, picnicking at the beach, or fueling up at the office UCO sporks make out-of-home meals more enjoyable. 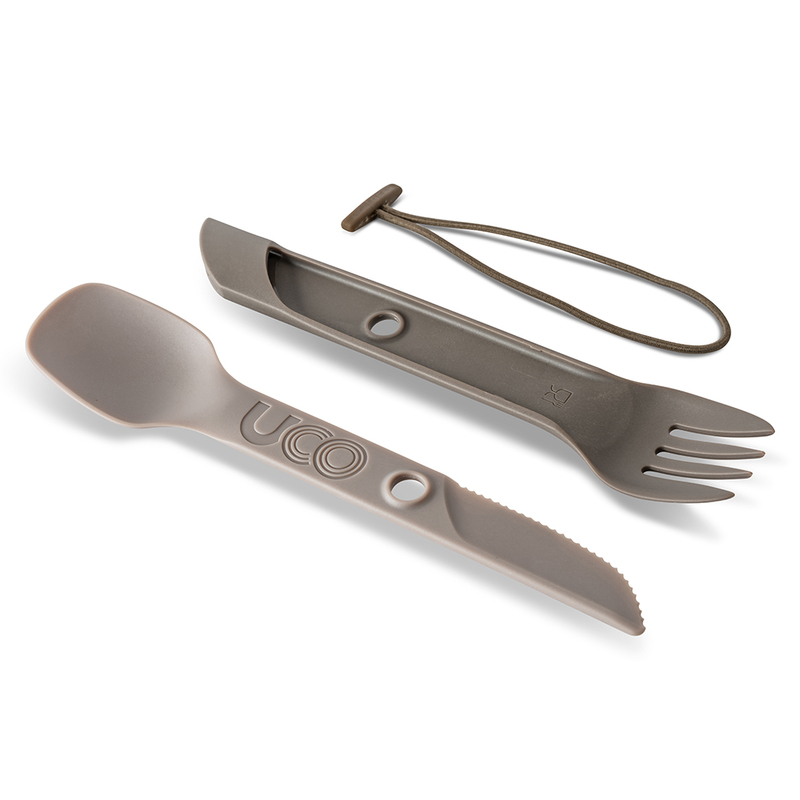 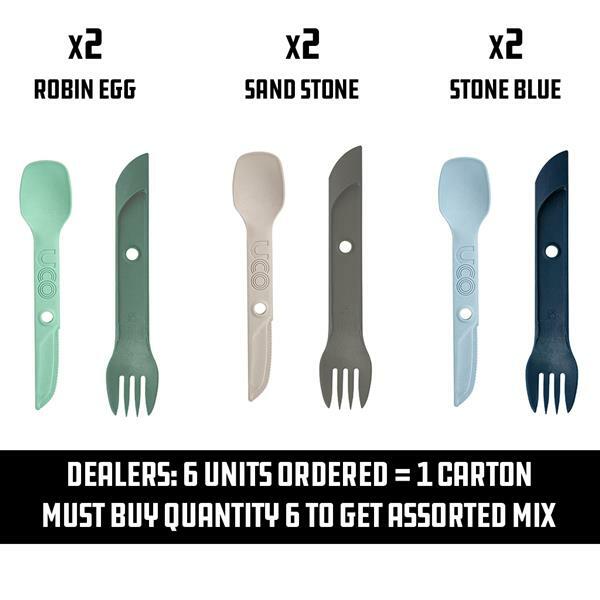 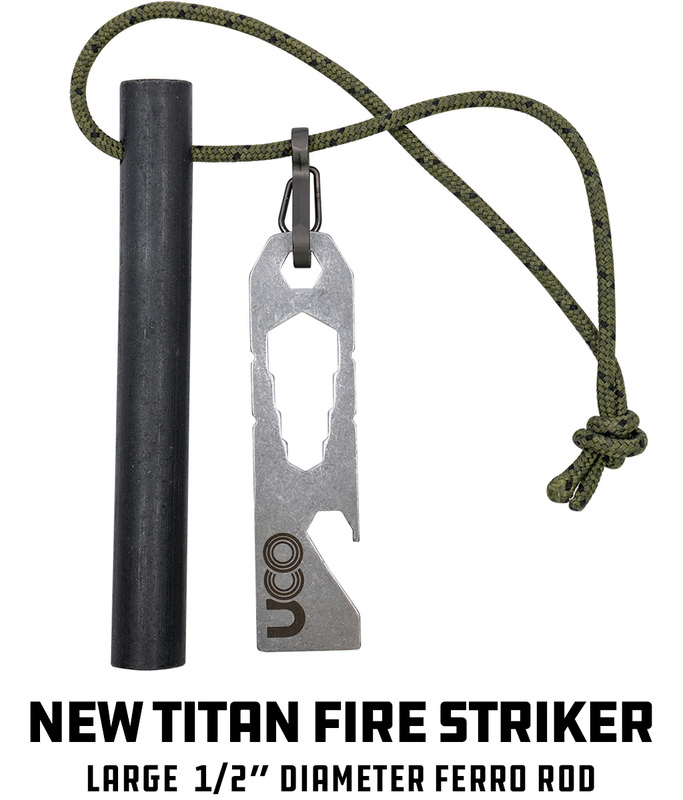 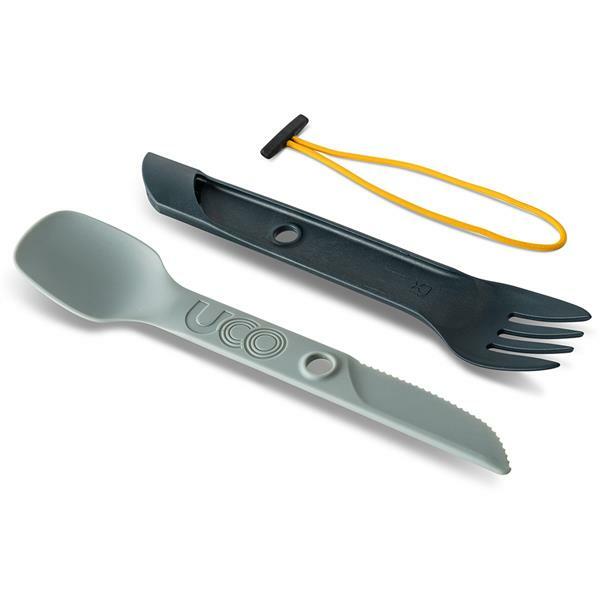 Includes 1 reusable tether, 1 fork, and 1 spoon/knife combination utensil. 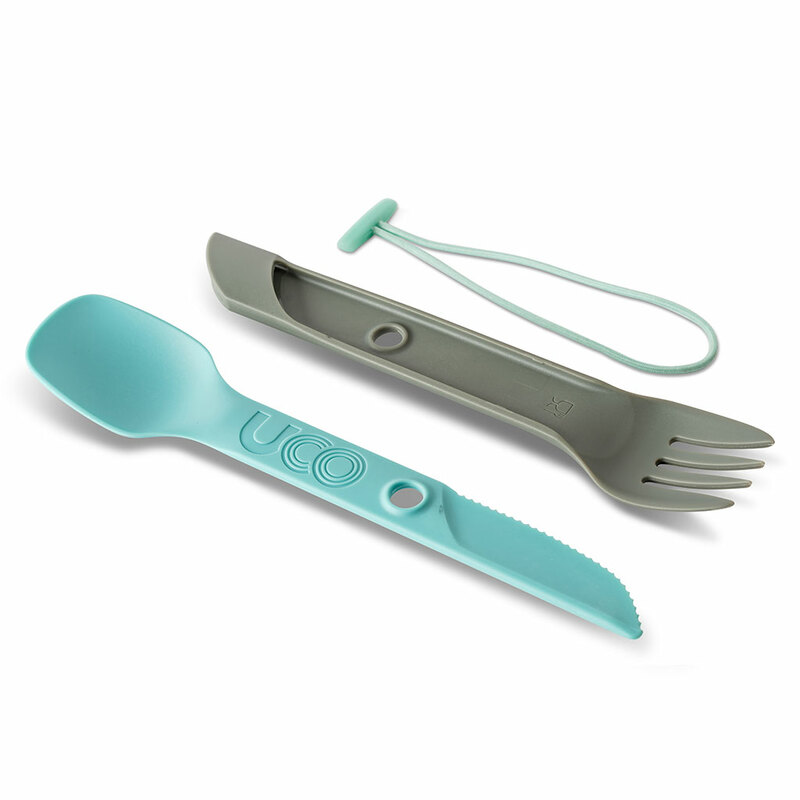 Made from ultra-durable food grade BPA-free glass-filled nylon. Use the spoon and fork separately or connect them together end to end for extra length. 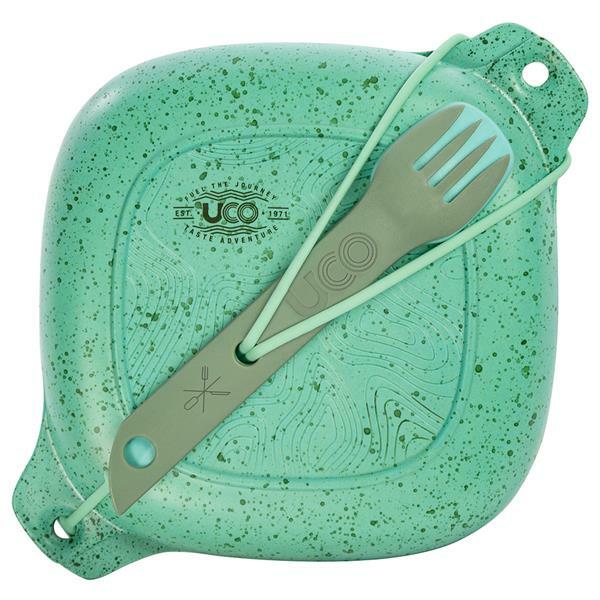 Attachment points and reusable tether work together to affix the spork to a pack or hang it up to dry. 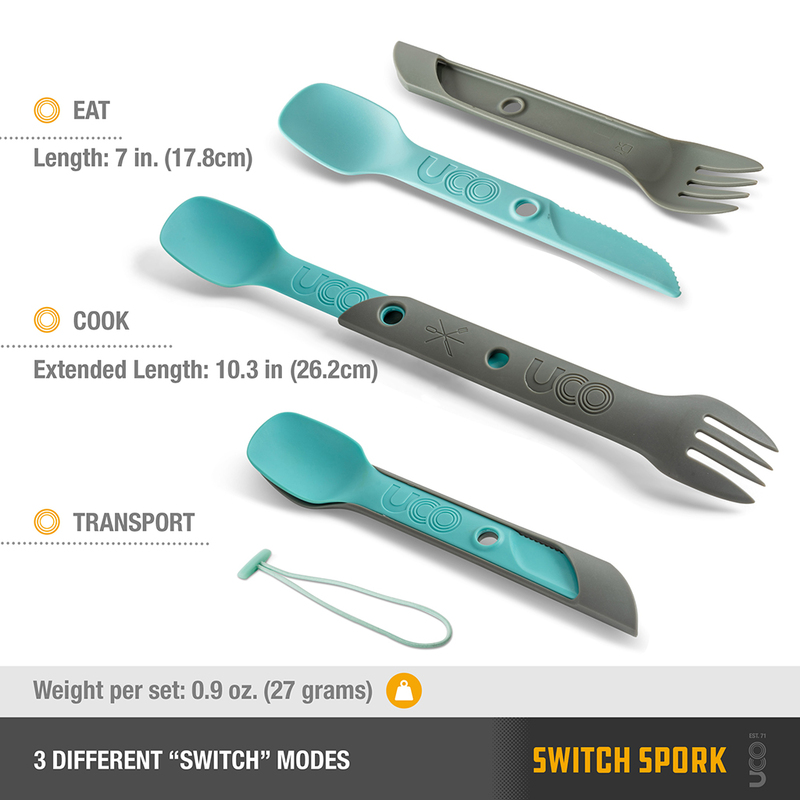 I have used UCO gear for years and this Switch kit is pretty awesome. 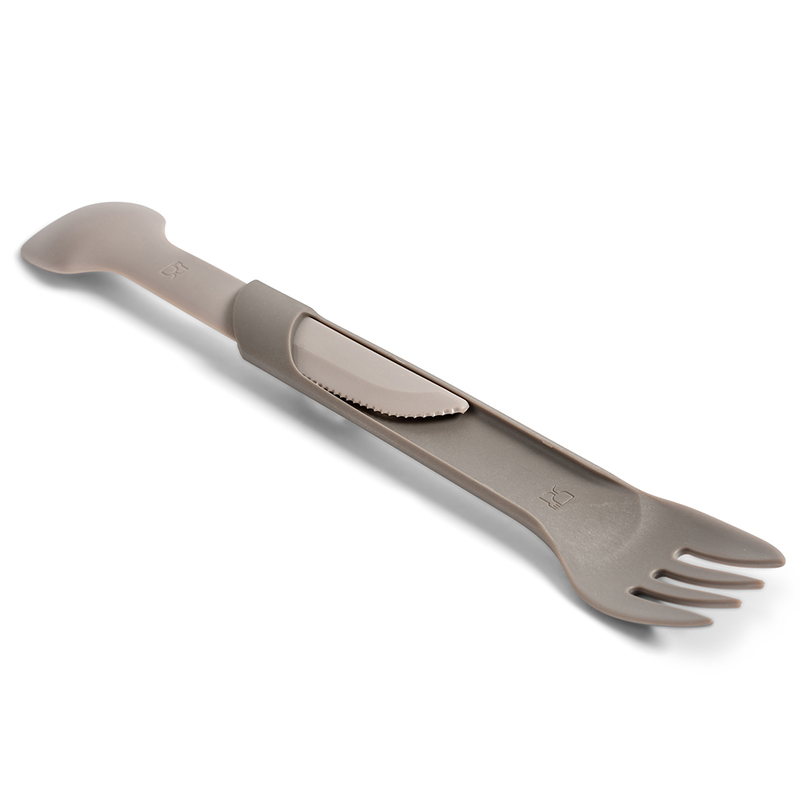 I really like that I can make the spoon longer for those Mountain House meals and the knife is also sharp enough to slice up some salami and cheese for my campmates. 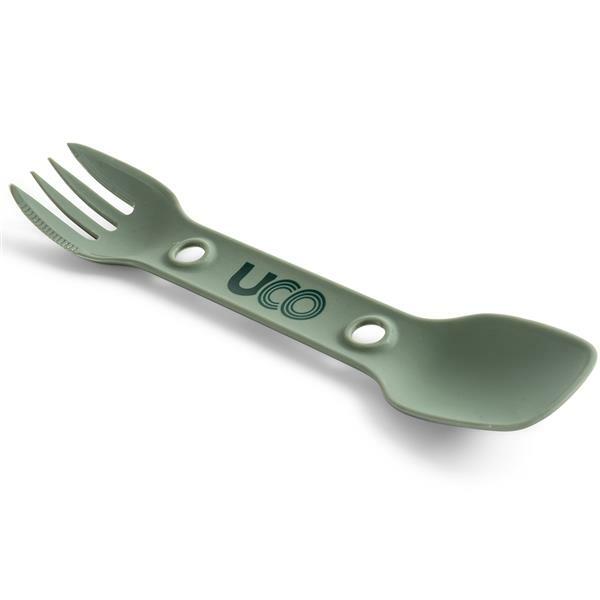 Its durable and very lightweight and if you are thinking about getting one, dont! As soon as they are in stock you should buy it!